St. Paul's church was consecrated on 21 April 1876. 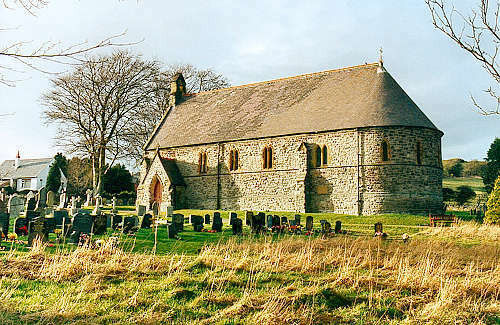 The new parish of Caerfallwch was created on 23 October 1876, from part of the township of Caerfallwch, which until that time had been in the parish of Northop. Although the official Church in Wales name for the parish is still Caerfallwch, the area is more generally known as Rhosesmor. For family history information about the church and parish, visit the GenUKI Caerfallwch page.